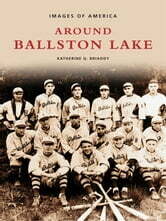 Ballston is a scenic town located in Saratoga County, with a history that is as long as it is interesting. 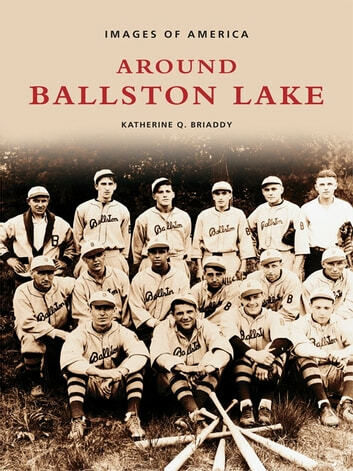 Katherine Q. Briaddy takes us along on a journey into Ballston's past, providing insight into the lives of Ballston's early residents. Encompassing the years between the late 1700s and the present, the photographs within depict the area as it has changed and evolved over the years. As you peruse through the over 200 images, you will visit Ballston's recreational draws, such as Ballston Lake and Forest Park. You will see the houses that survived the British and Indian invasion of 1780, and the trolleys and railroads that came with the advance of technology. You will tour through the mansions, manors, and humble farms of Ballston's residents; you will see interpretations of the town's landmarks by local artists. You will observe the way life used to be for those who chose to call Ballston home.